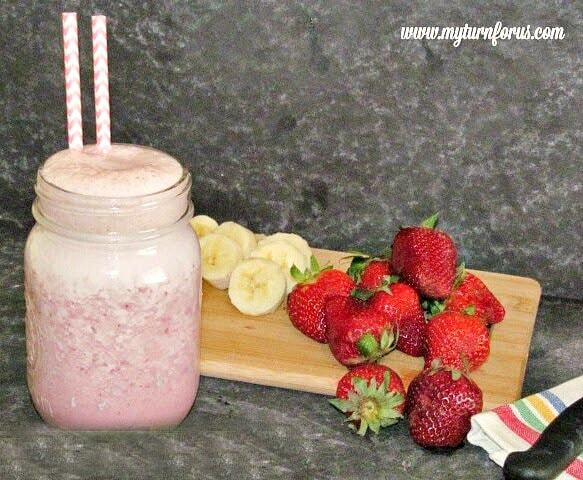 Make a delicious Strawberry Banana Protein Smoothie with protein powder. It’s an easy way to add protein to your diet and makes a healthy breakfast or snack. I cannot stress enough how important protein is to a healthy lifestyle. Snacks or smoothies are great to keep the hunger pains away but they will not stay away unless you are getting enough protein. 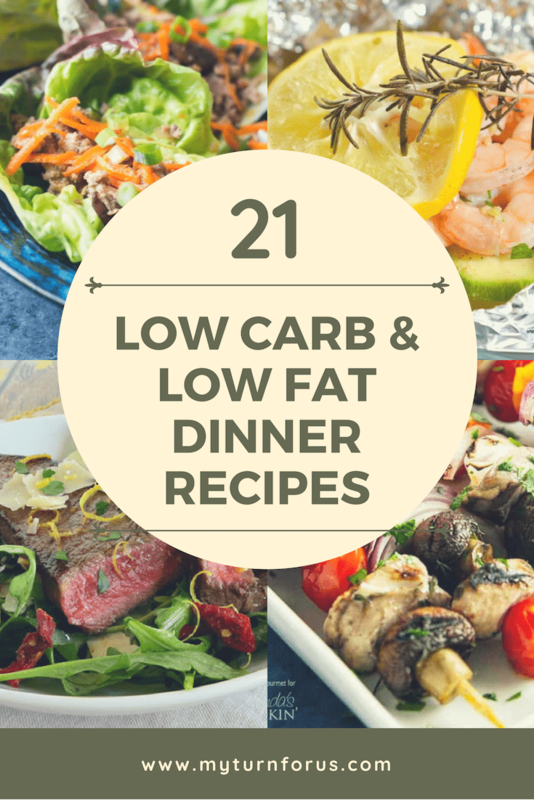 I have heard that when you eat carbs (simple or complex) your hunger returns in 20 minutes but if you add protein to those carbs then your hunger is suppressed for 2-3 hours. We need to eat, not only to have energy but also to lose weight. Yes, I said you must eat to lose weight. The only meal I replace with a shake or smoothie is Breakfast. 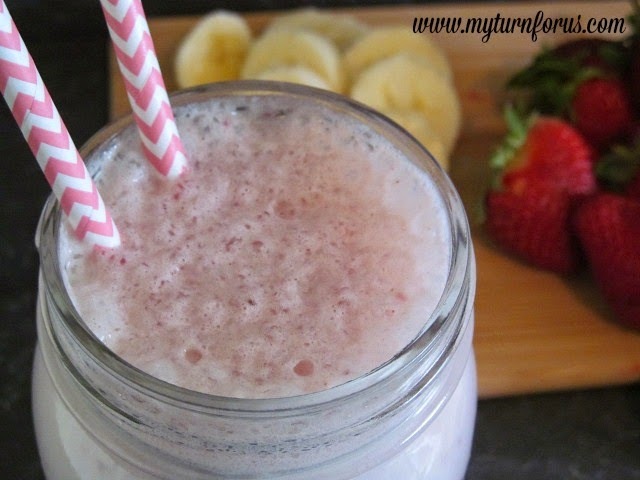 And my favorite is this Banana Strawberry Smoothie. I know the mornings are hectic and there is not always time to sit down and enjoy a healthy breakfast as required for your weight loss plan. It is true that a healthy breakfast is the most important meal of the day. It gives you the energy to get through the day and it fires up your metabolism to burn those fat cells. So do not ever skip breakfast!! 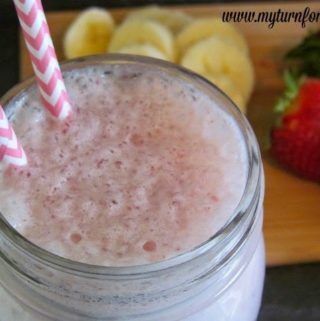 This Banana Strawberry protein smoothie is delicious, sweet, frosty and loaded with flavor and Protein. 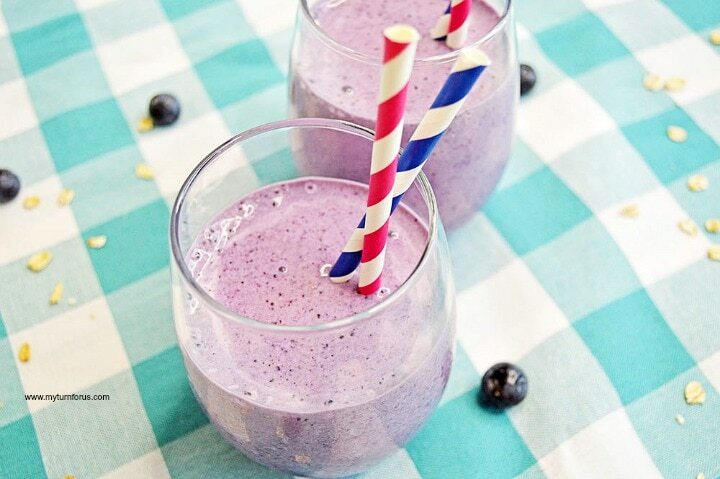 Add all ingredients to a blender or a single use bullet blender and blend until slushy and well blended. This is just a further reminder that I really need to introduce protein powder to my diet!